The holidays are here. It’s everyone’s favorite time of year for sweaters, warm tea, scarves, and travel. If you’re one of the more than 100 million people who’ll hit the roads, we’ve got some tips to stay safe online and away from snoops and hackers. First things first, if you’re going to travel, get yourself a trustworthy VPN. For anyone traveling overseas, or even just stateside, getting a VPN is the smartest investment you can make. Why? Because the Wi-Fi networks in most airports, coffee shops, and 24-hour diners aren’t encrypted, which leaves you vulnerable to anyone potentially on that network. A VPN acts like a tunnel and protects your data from any bad actors that may be lurking. 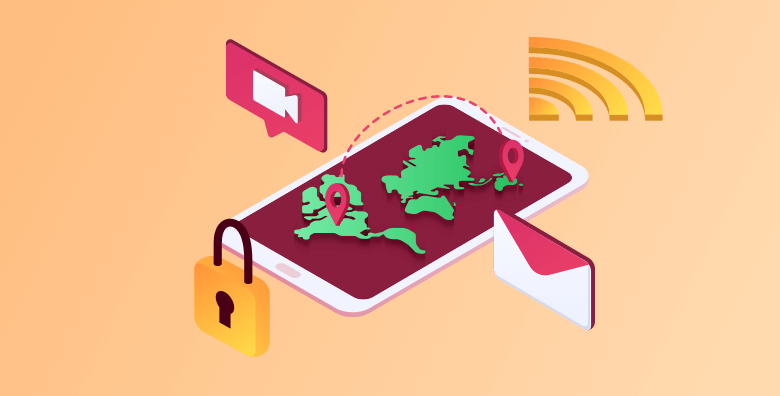 An overseas VPN helps because if you’re planning on communicating with friends and family via chat tools like WhatsApp, Skype, or even just FaceTime on your laptop, you need to know that you can reach them. In many countries, chat tools are banned, just like Google or Facebook. If you want to communicate with the outside world when traveling somewhere like China, or Iraq, you need a way to get past these countries’-imposed access bans. Hotels or public cafes where you get your WIFI access may also impose firewalls or blacklist specific sites- so it’s not just for foreign travelers. Another reason to get a travel VPN for overseas use is a pretty obvious one: unblock websites while traveling like Netflix and Hulu. If you’re traveling abroad, even to countries like Japan or Australia, you’ll likely run into issues when streaming Netflix. In fact, most of the content those countries feature is geo-blocked and specific to that country. Stay on schedule with your regular shows while travelling by using a VPN. Get the best VPN for overseas that you can, especially if you want to log into your Netflix account to binge watch Stranger Things while stuck on an eleven-hour flight. A VPN will allow you to log into your home account, bypassing any kind of location-based firewalls, no matter your destination. Download VyprVPN – your first three days are free. Connect to VyprVPN – with our Chameleon technology, even local ISPs can’t identify your traffic as being from a VPN. Continue to use your device as you would otherwise, with the peace of mind of protection.